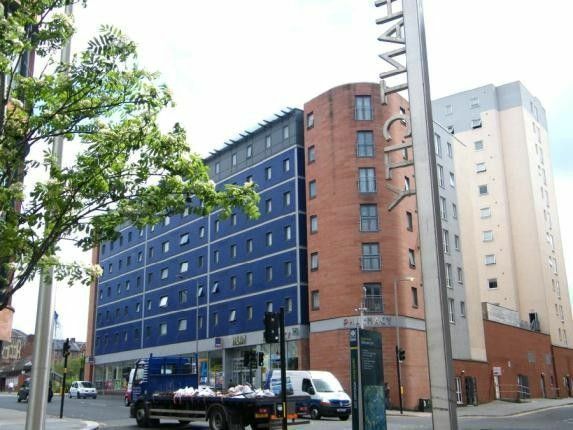 This attractive fully furnished studio apartment is in the heart of fashionable Merchant City on Blackfriars Road in Glasgow. This modern property consists of entrance Hallway with store cupboard, open plan Lounge / Bedroom / fully fitted Kitchen with white goods included and Bathroom with three piece Suite and shower over the bath. Blackfriars Road is within walking distance to Strathclyde and Caledonian University. This property is within walking distance to High Street railway station and local transport links. Local shops, amenities and the Royal Infirmary hospital are close by too.